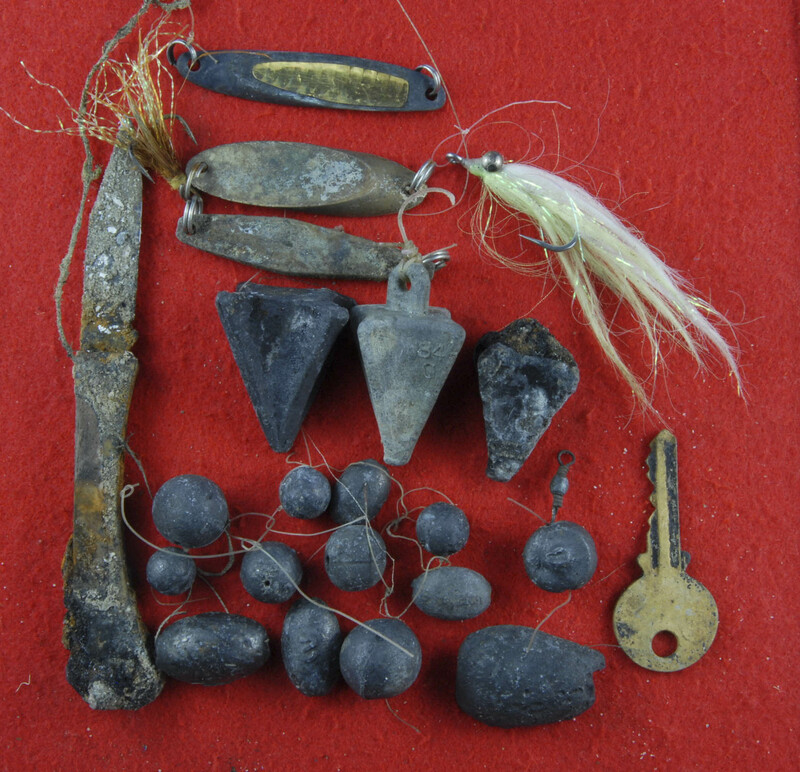 westcoastmark | Metal detecting for coins and relics, on land and underwater. 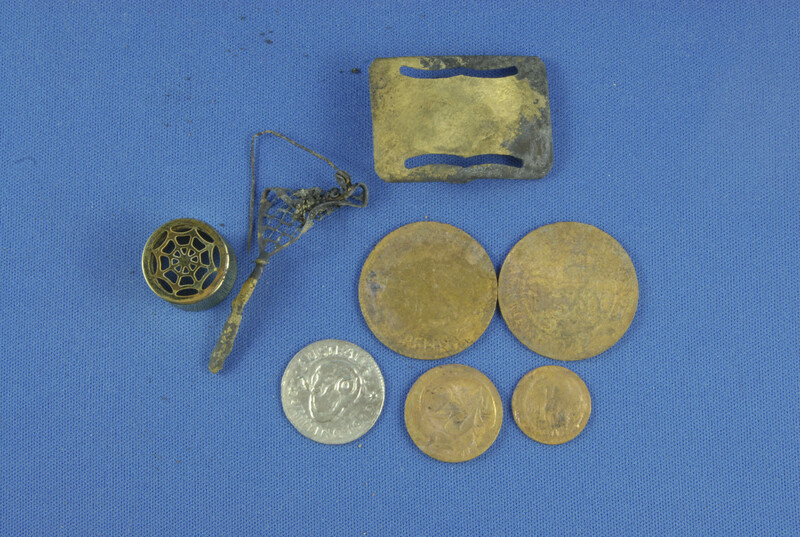 Metal detecting for coins and relics, on land and underwater. Small coil gets the goods. 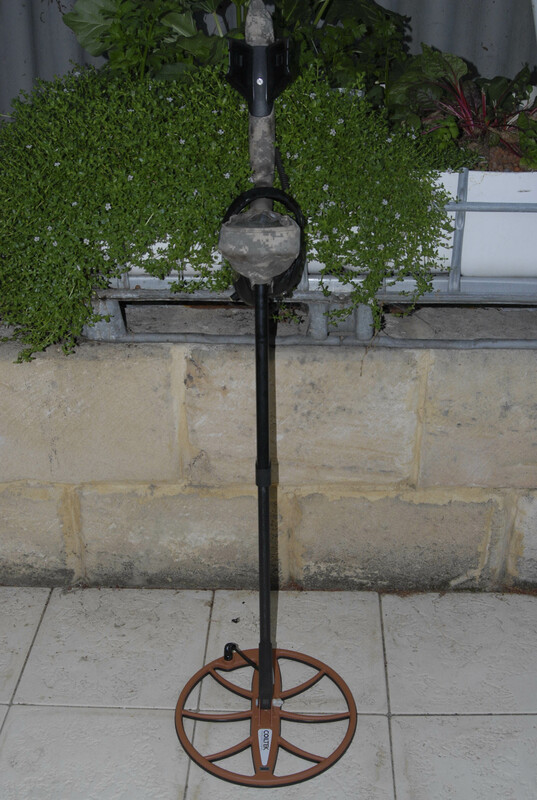 Recently I wrote on the Minelab Treasure Talk blog about my first experience with the CTX06 six inch coil. I was more then impressed with it’s capabilities when used in a very trashy old swimming site that I have hunted many times with a number of machines. last week I had the opportunity to return to the same site to detect some more with this small coil. I decided to continue from where I had left off out in the water and almost straight away had a nice signal amongst the null signals from iron and lower tones of pieces of lead. 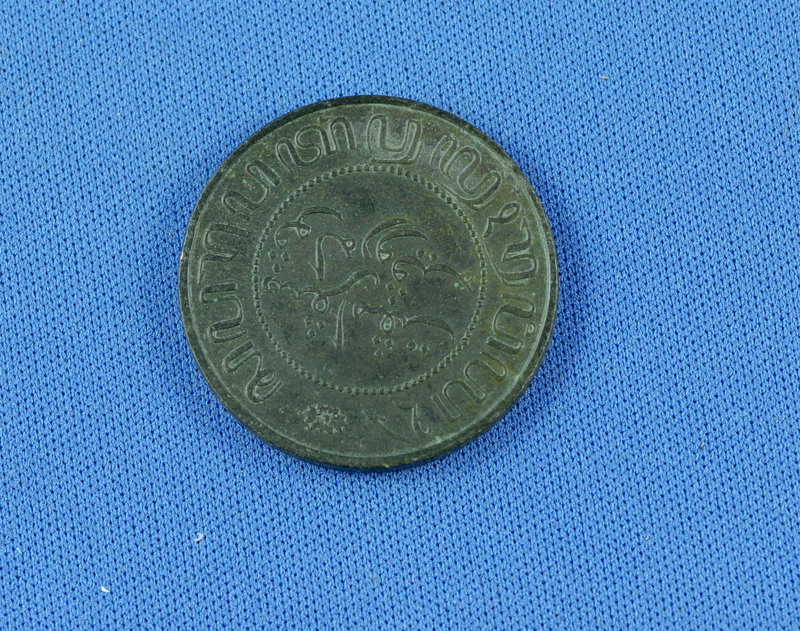 Coin number one for the morning was a penny, dated 1958. Not one of my oldest finds, but I’m always happy to find predecimal coins. The next coin was only a few meters away and this time was a silver sixpence from 1942. Carrying on I had the some bits of brass and a few large pieces of lead which sound to good to ignore. One target that sounded pretty good, if not a little rough turned out to be two pennies in one hole. Another penny had me digging nearly about 300mm down to recover it. So there is no doubt as to the sensitivity of the small coil. 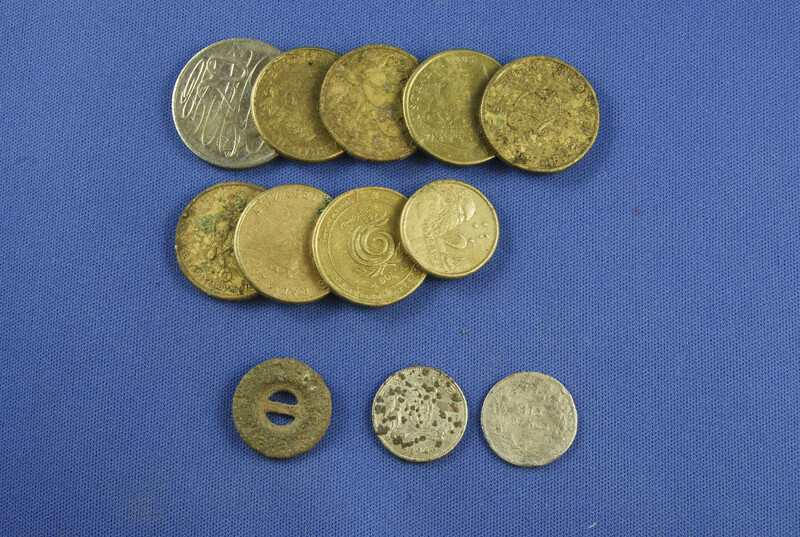 The tally for the morning was seven pennies, one sixpence and one very worn threepence. I’m certain looking forward to getting back to this site and I have a number of others now that I’m keen to go over with the six inch coil. One thing I have learned from using this small coil is that while a big coil is great for covering a lot of ground, if you want to get in amongst the trashy sites and pick out the good stuff you need to slow down and take your time! It was a cold, windy and rainy morning when I headed out the other day. I was questioning my sanity at going detecting in these conditions, but given I was well rugged up, had a flask of hot coffee in the car and my Minelab CTX 3030 is waterproof, I really had no excuses not to go! Looking on Google Earth, I had found a likely looking area not far from one of my most productive parks which dates back to the late 1800s, so I was hoping for some old coins to be about. About five minutes after arriving I had the first target under my coil, this was a halfpenny in pretty poor condition, but at least there were some old coins about. There were a lot of targets in this area, and I was kept busy recovering one and two cent coins and some modern money, which I never say no to. 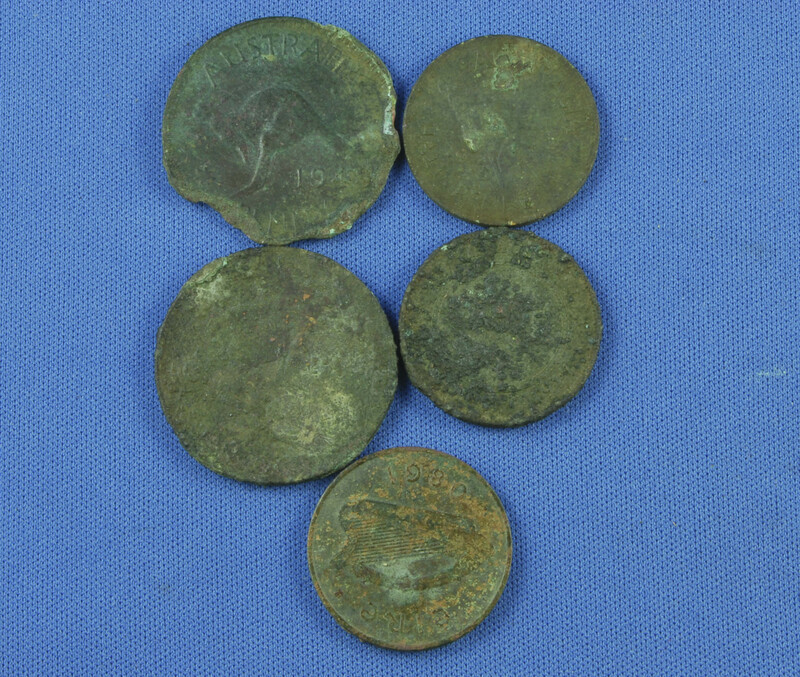 In among the high toned copper coins I received a solid lower tone of around 12-35. After digging down about 5-6 inches, I had silver this time! A nice 1951 sixpence, so 50% silver to to be precise, but silver non the less. Only a few minutes later I had a good solid signal, a penny I thought, but while it was the right size for a penny it felt a little bit heavier; but in the pre dawn light and with out my glasses I couldn’t be sure. One to check when I got back home. After a little while and two more pennies dug, I had my second silver coin in my hand, this one a nice 1943 threepence. A quick trip back to the car for a hot drink to warm up and I was back into it, however I only managed one more pre decimal coin and a couple of modern ones before I decided to call it a day. Once I was home and sufficiently warmed up, it was time to have a good look at my finds. 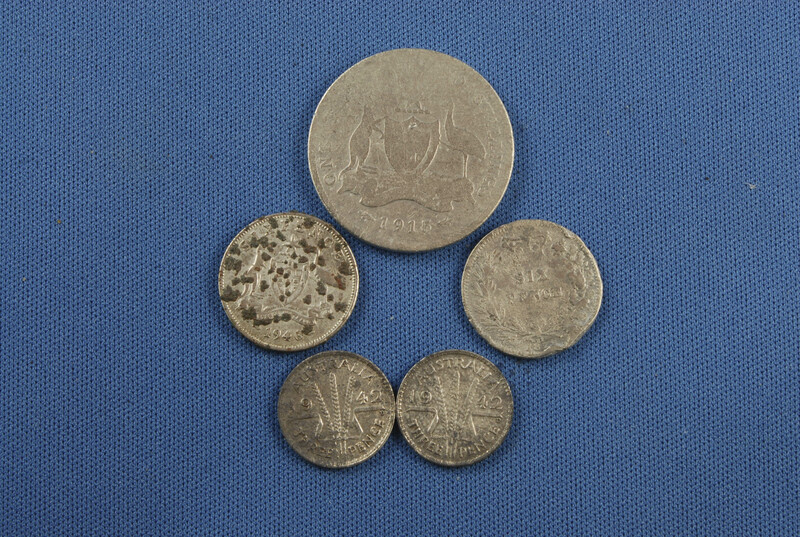 I was surprised to see I had dug 10 one cent coins and three two cent coins. When there are so many targets about you can lose track of how many items you have found. 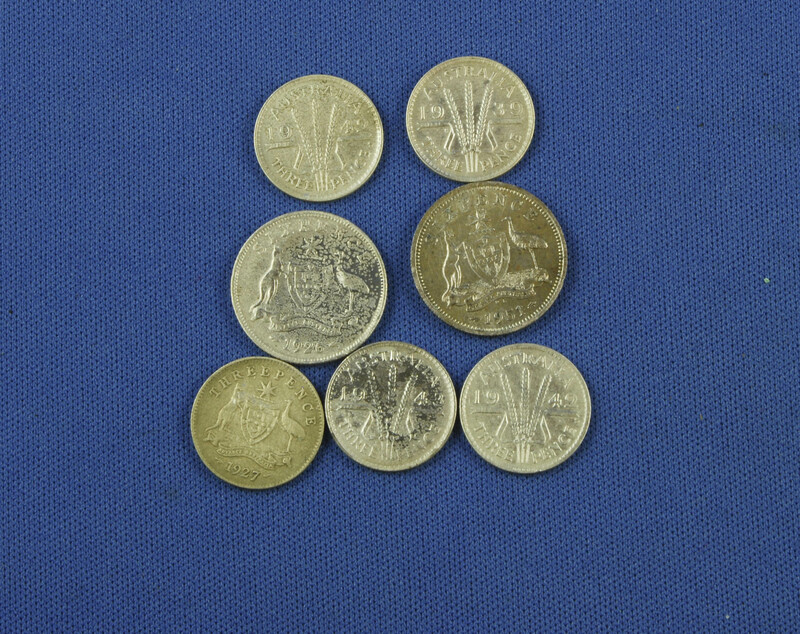 The modern coin count came to $14, all in $2 coins. Time to look through the pre-decimal coins, the one I wanted to look at was the one that had felt a bit heavier then a penny. On inspection I could see it wasn’t a penny and I thought maybe a medallion? Then after a gentle clean with water and a tooth brush I could see that it was a coin of some kind. 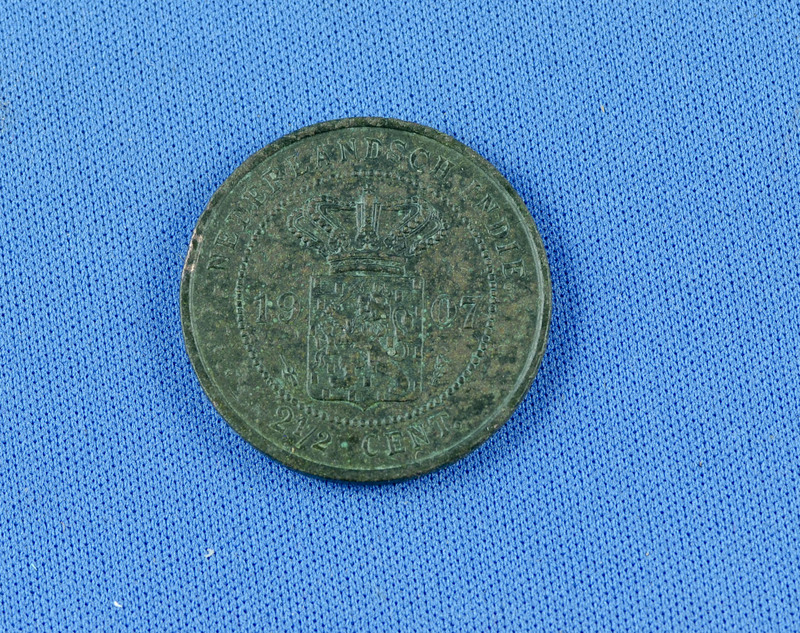 A quick search on the computer and I found what I had was a 1907 2-½ cent coin from the Netherlands East Indies! The Netherland’s East Indies, or better known as the Dutch East Indies dates back to 1603 when the Dutch Government created the United East India Company (VOC) which traded in spice. In 1800 the company was dissolved and its colonial possessions in the Indonesian archipelago were nationalised under the Dutch Republic as the Dutch East Indies. The Dutch were forced out by the Japanese during the Second World War, who were in turn defeated. In December 1949, the Netherlands formally recognised Indonesian sovereignty over the area that become the territory of modern-day Indonesia. This is why I love this hobby so much, you never know what you are going to find next! And I always enjoy the history lessons that are waiting to be uncovered. Well, it’s certainly been a while since my last post and that is mainly because during the summer months here in the Southern Hemisphere I detect on the beach. While finding modern coins and the odd bit of bling is nice, it makes for boring reading. For me it’s the old coins and relics that I truly love to find. So I was very happy when autumn arrived and the days started to cool and we had some rain. I personally don’t like to hunt in public parks in summer as the risk of leaving dead patches in the lawn is high. My first destination was a park I have been going to for about three years now, and despite walking over ground I know I have been over in the past, it still gave up seven pre-decimal coins, five crusty pennies and half pennies and two silvers, as well as a couple of relics. The first interesting find was a small badge with wings. Upon cleaning, it had the letters BOAC, and below junior jet club. This turned out to be from the British Overseas Airways Corporation (1940 – 1974), from 1954 -1974 children could join the junior jet club and have their logbook signed by the pilot as they clocked up air miles. The other interesting find was a 12 gauge shotgun cartridge head stamp, after some research it dates from 1884 – 1924. 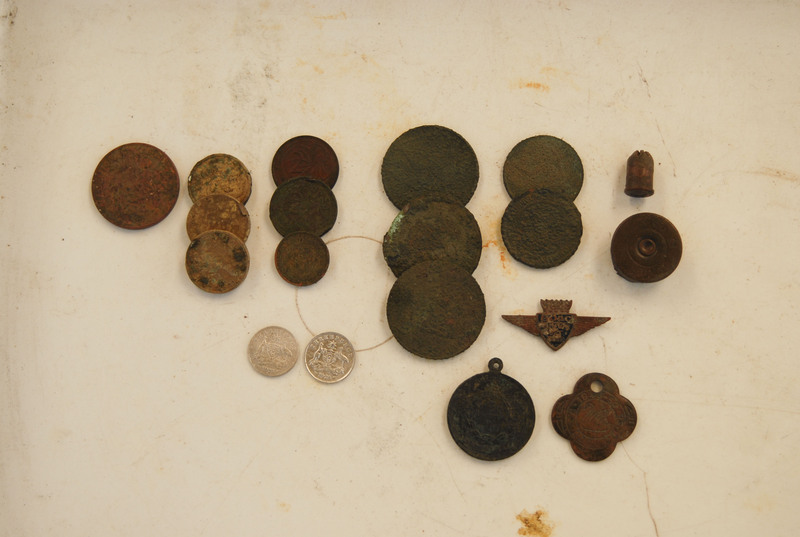 On my way home I stopped into the site of an old farm house, this site has seen other detectorist over it, but armed with my CTX 3030 and a good dose of patience I worked my way through the iron infested ground and found two nice relics. 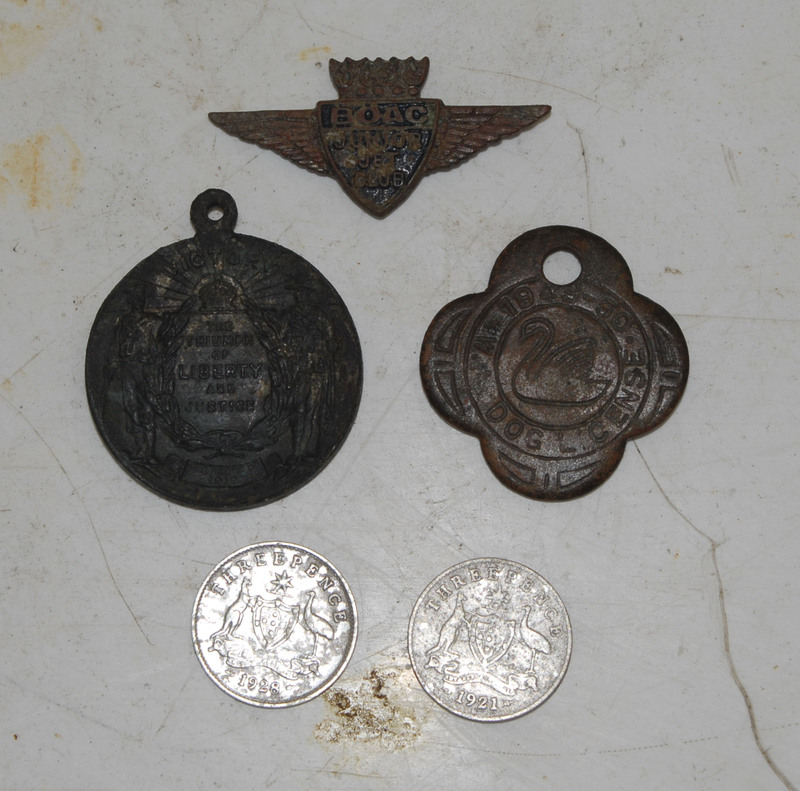 The first was a medallion commemorating the end of WW I, dated 1919, brilliant! I thought, there are still some finds left in here. The next find was only a few meters away, a dog license tag dated 1949 – 1950. By that stage I was thinking it was time for some breakfast, so I called it a day knowing there should be some more finds there among the rubbish waiting for my next visit. So all up, three relics with some stories to tell and two nice silver coins. Until next time, enjoy your detecting and enjoy the history! First day of winter brings a first for me! The first day of winter here in Perth, Western Australia began overcast and rainy. Being the dedicated treasure hunter that I am (my wife calls it other things!) I wasn’t missing an opportunity to head back to one of my favourite parks for some detecting. I hadn’t been going long before I unearthed my first coin, a lovely 1926 Australian Sixpence. Realising I had left my camera in the car, I started making my way back to retrieve it, but was stopped by another solid signal, this time a 1922 Australian Penny in pretty poor condition. Now with camera at the ready I started searching again, noticing I was near an area where I had found an old silver ring last year, I thought I would have a look around this spot. A few swings later I had a jumpy signal, but from the tone it was worth digging, a soon had something short and roughly cylindrical in my hand; it then dawned on me that it was a thimble! 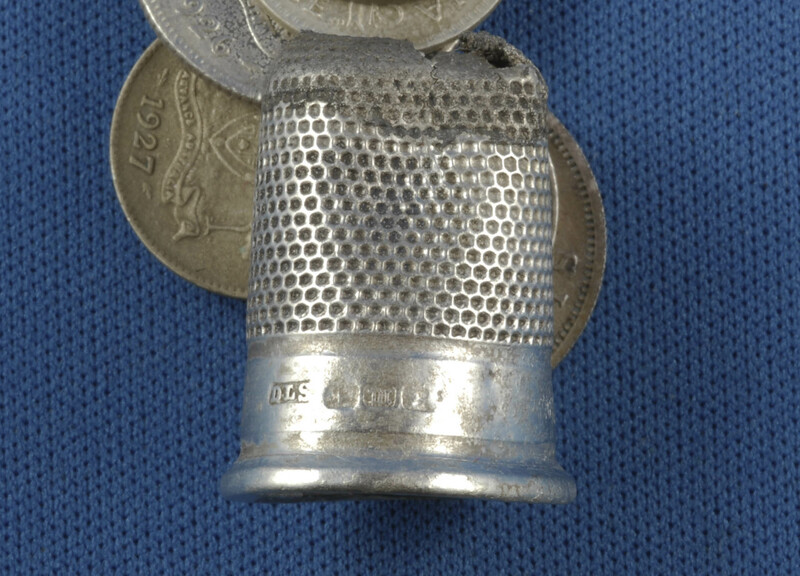 Excelent I thought, I had never found a thimble before, and from the look and the sound it made I was hoping it was silver. 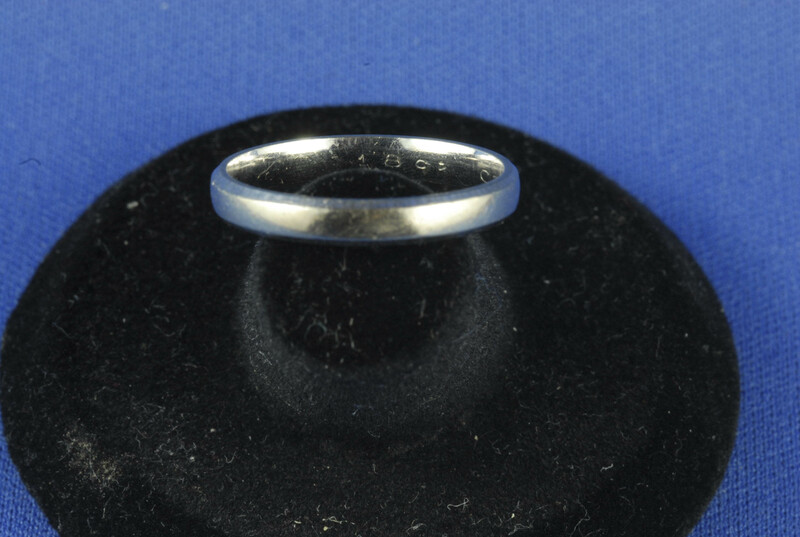 If it were it would be Hallmarked so I could get a date off it. After re filling my hole, I hadn’t taken a step before a solid 12/44 signal had me cutting a plug in the damp soil. 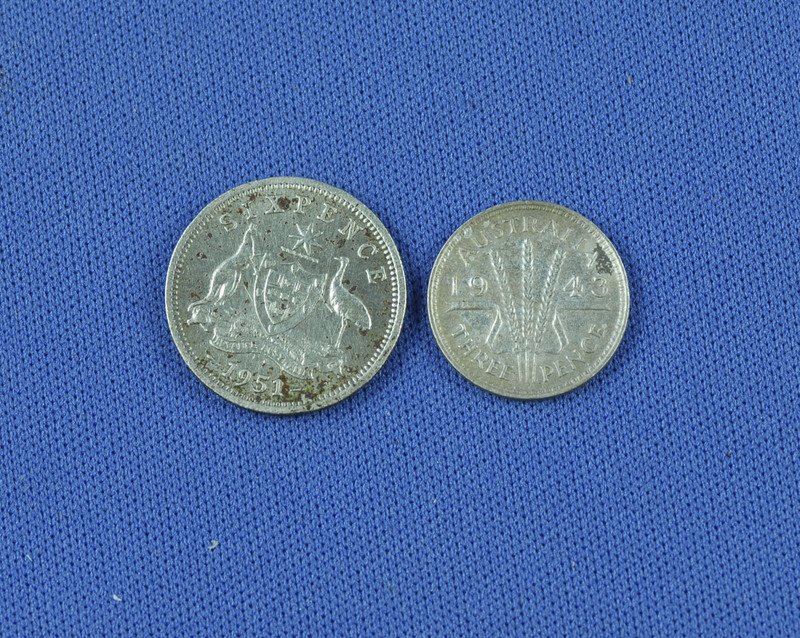 A bit a search and I had a sweet little 1939 Threepence coin was in my hand. 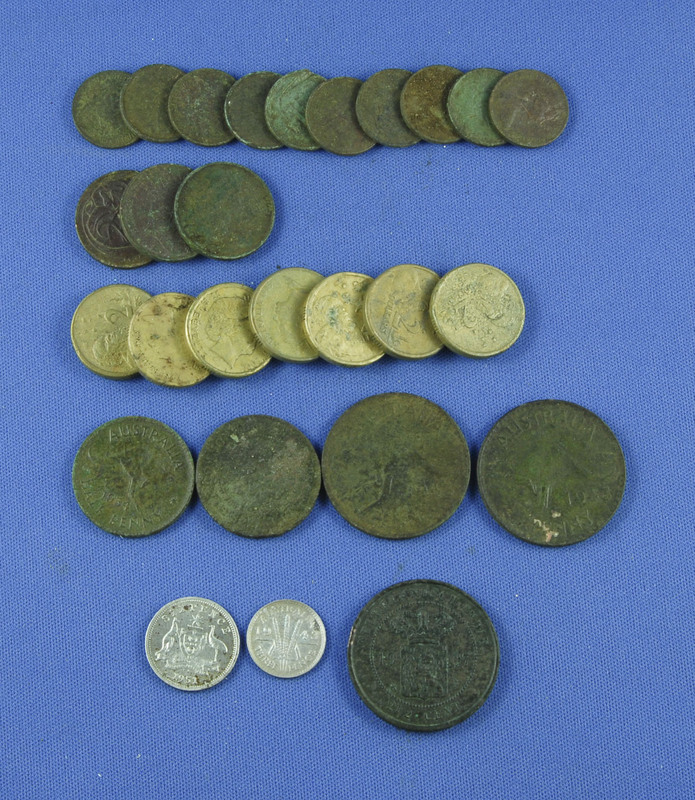 Moving over to an area that I had been planning to investigate soon netted another five silver coins and some crusty copper coins, one that I thought was a half penny turned out to be a 1980 Irish 2 pence coin. By this time despite having a waterproof CTX 3030 detector and jacket, my legs were getting wet and cold, so I decided to call it a morning. 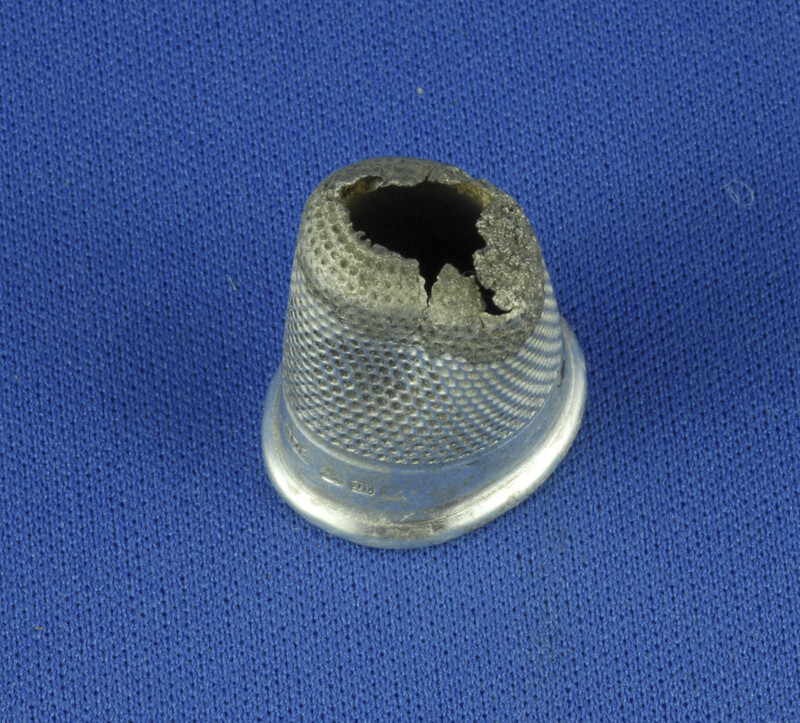 Back home I couldn’t wait to clean the thimble to see if it was marked. After a quick clean I could see four Hallmarks, the first was clear “DLS”, this was the makers mark, the next one was I couldn’t read. The third was a clear “M”the year, and the last was again unreadable. From the two marks I had all the information I needed. 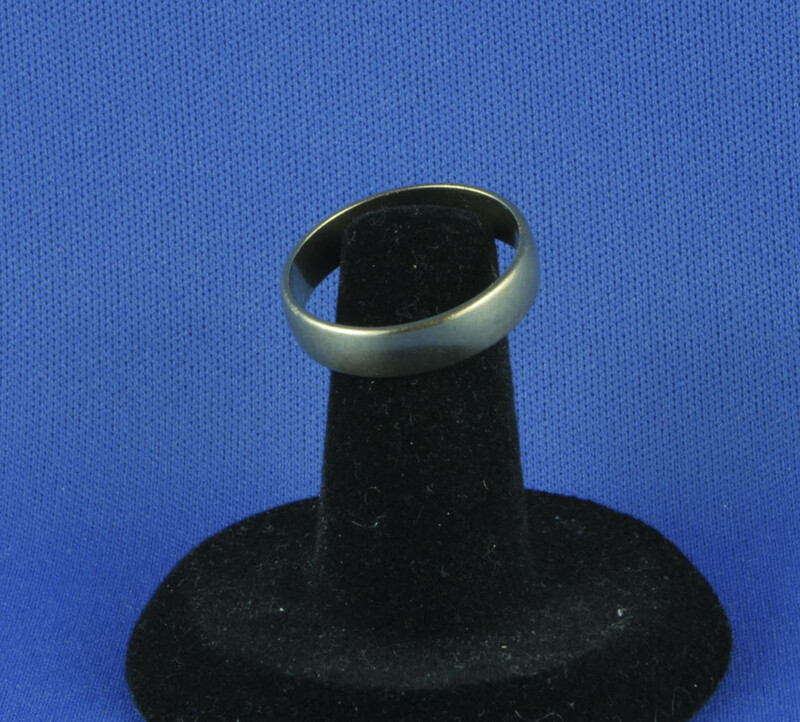 The manufacture was David & Lionel Spiers of 27 Hylton Street Birmingham in the UK. The date letter was for 1886, 128 years old! I was rapped, this is the part of this hobby that I love. While I’m always happy to find old coins, it’s the relics that are the best finds for me. They all have a story to tell. Was it a sunny afternoon a hundred plus years ago, the lady of the house was sitting in the shade of a tree doing embroidery, while her children played and the men discussed the latest arrivals to the colony when for whatever reason she lost her silver thimble? I doubt I will ever know, but I’m happy I rescued it from the ground and now it will have a new home. Back to some park detecting. It’s been some time since my last blog, the main reason being it has been to hot and dry to go digging around in parks, so I have been focused on beach and water hunts. 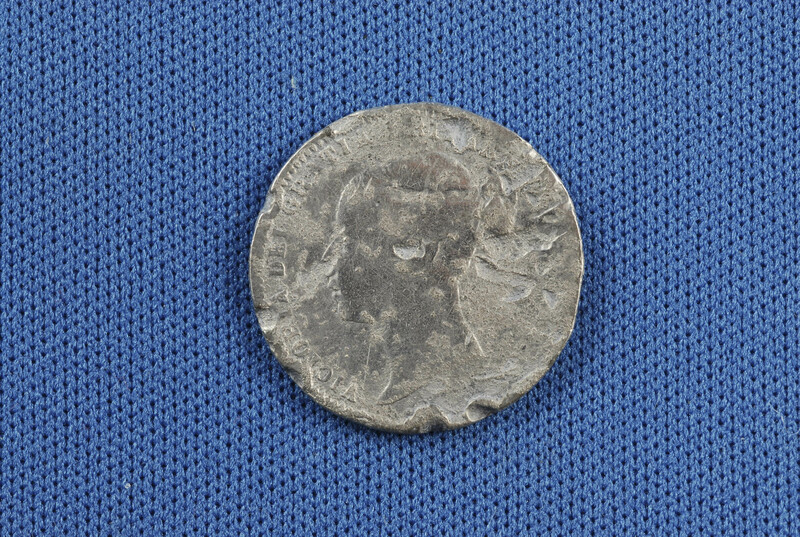 As anyone who follows me on Youtube will have seen, I have been finding a few bits and pieces, but writing about finding modern coins on the beach isn’t particularly interesting. However, we have at last had a little rain and the temperature has come down enough that I am back into looking for old coins and relics. Since my last post I have acquired a Minelab CTX 3030, which came with the the 17 inch coil, so in this last week I have managed to get out on three occasions armed with this combination.I have been going over some old ground and have been very surprised by what is still out there. 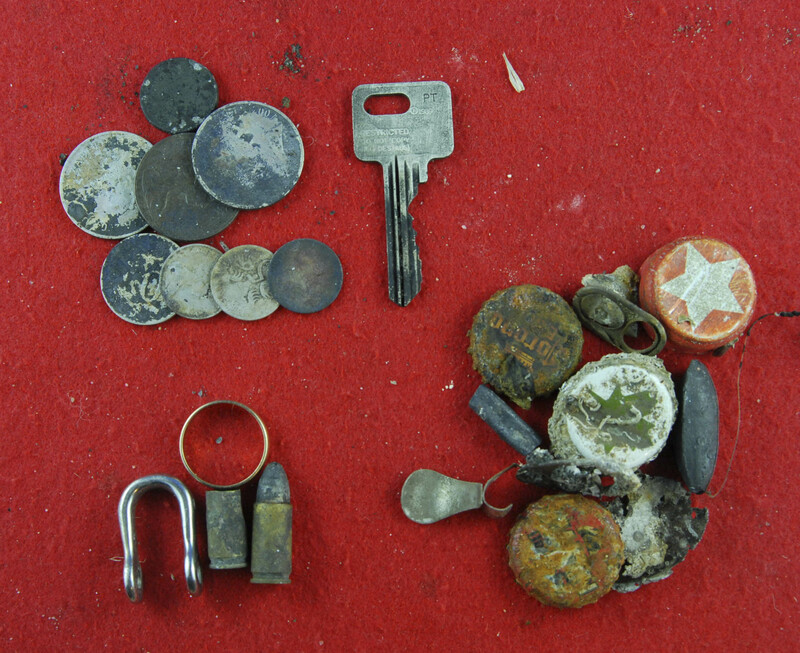 My week started off with a hunt at a park near the beach, I had found the odd old coin in this park, however I was searching more for modern coins and jewellery on this occasion. I had only been going a short time before I had a 1946 sixpence from a few inches down, this was followed by $9.00 in one and two dollar coins, before I had a good solid signal which I assumed was another dollar as it was just under the surface. 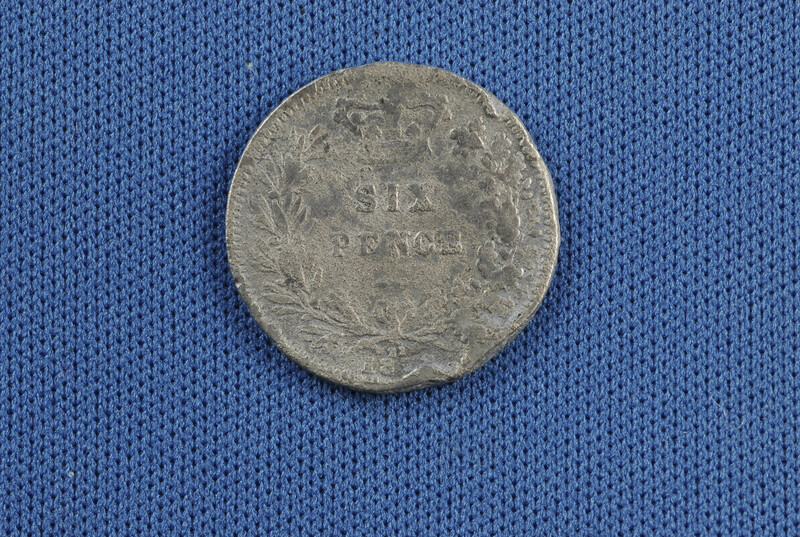 Imagine my delight when I was soon looking at a 1878 sixpence in my hand. Whilst Queen Victoria was looking a little worst for ware, I was happy to take her. My next hunt saw me at a park near home that I have recovered a lot of coins from over the last couple of years. In fact, last year saw me running transects from one side of the park to the other in an east/west pattern, and recovering a lot of targets; and to be honest I considered that I had given it a good going over and there wouldn’t much left. So with this in mind I decided to start running transects from north to south to see if I had missed much. Using the big 17 inch coil, I was able to thoroughly cover each transect. To say I was surprised by the result would be an understatement. 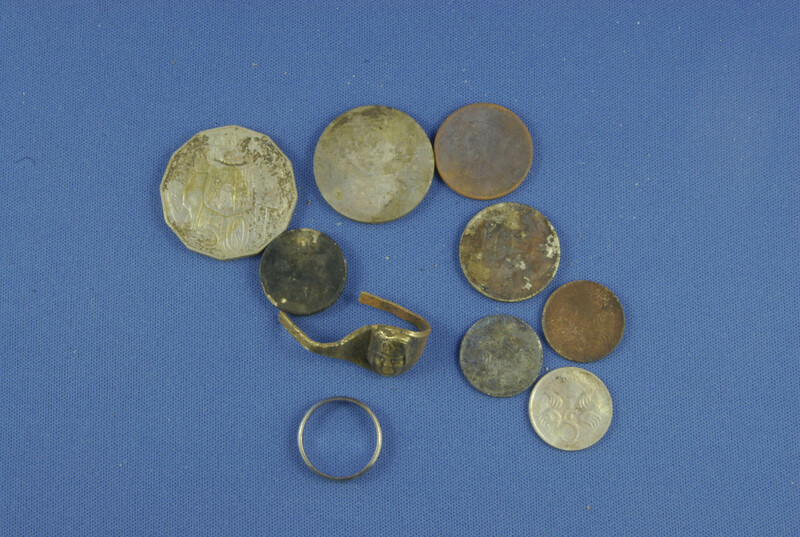 At the end of my first hunt I had three half pennies, three pennies and two silver 1942 three penny coins in my bag! 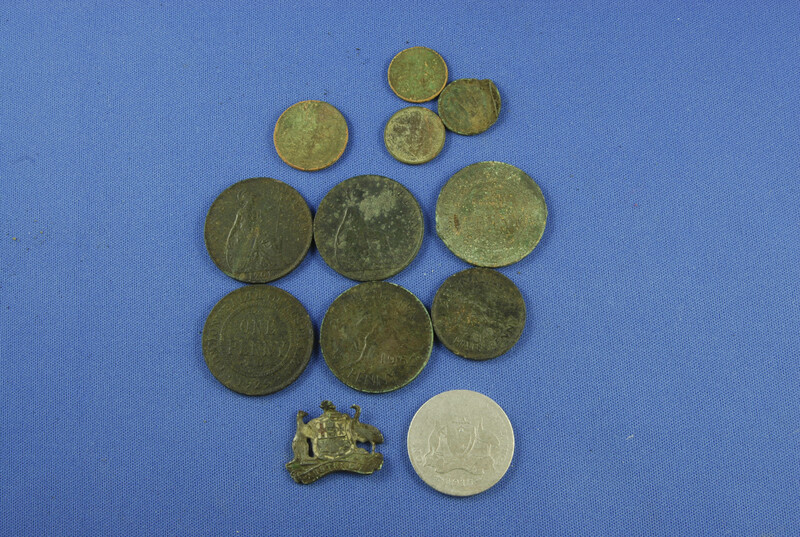 On my next visit to the park a couple of mornings later, I finished with a similar result, with five pennies, a half penny and a 1915 silver florin, as well as an interesting Australian Coat of Arms badge; 16 old coins and relic from just two hunts! So next time you are looking for some new ground to detect, consider going over your old ground from a different direction, because as I like to say, no one gets it all! First gold for the year! Having a day off from work, I couldn’t resist getting out for hunt in the water this morning. I headed of to a local spot that I hunt regularly for some wading with my Minelab Excalibur II. While there wasn’t a great number of targets, there were enough to keep me interested. The first few were lower denomination coins and a live 9mm round, then I had a sweet sounding tone that I just felt was going to be a good target. Giving my scoop a shake I could see the shine of a ring sitting amongst the shell, reaching in I soon had a lovely 9 ct band in hand; first ring and gold for 2014! 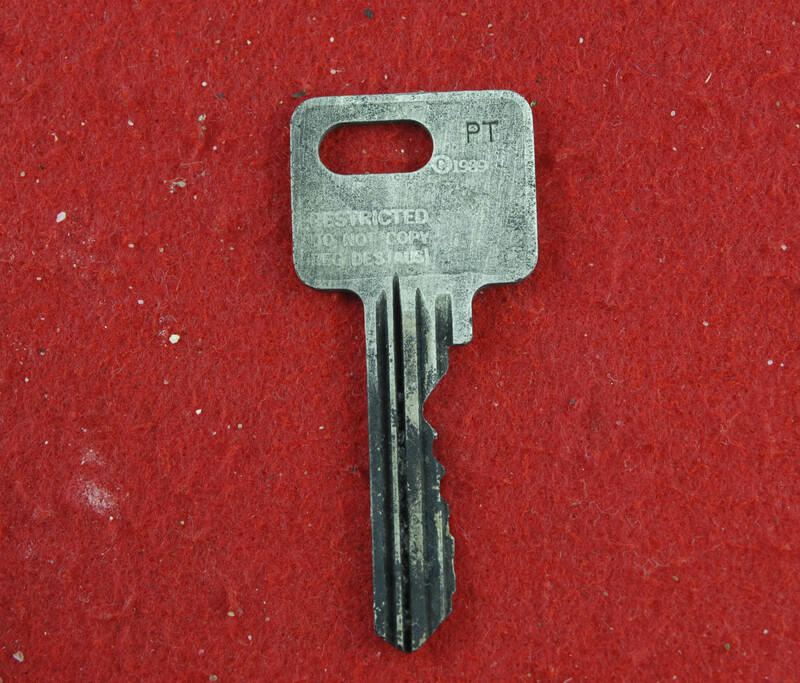 A few more coins, bits of rubbish and a security key was about it for the rest of the morning, though I would have been happy to head home once I had the ring 🙂 I’ll be back in the water on the weekend to see what I can find next. Until then, all the best with your detecting. Today was a stunning summers day, so the family and I headed to a local swimming spot. I naturally packed the dive gear and my Minelab Excalibur II on its dive shaft for some underwater treasure hunting. Making my way out to the end of the jetty where people jump of to swim; I descended to about three metres and started searching. Almost immediately I had a target under the coil, fanning away the sand I had a 10 cent coin in the bag, for the next half an hour I had a steady stream of coins and fishing weights kept me occupied. 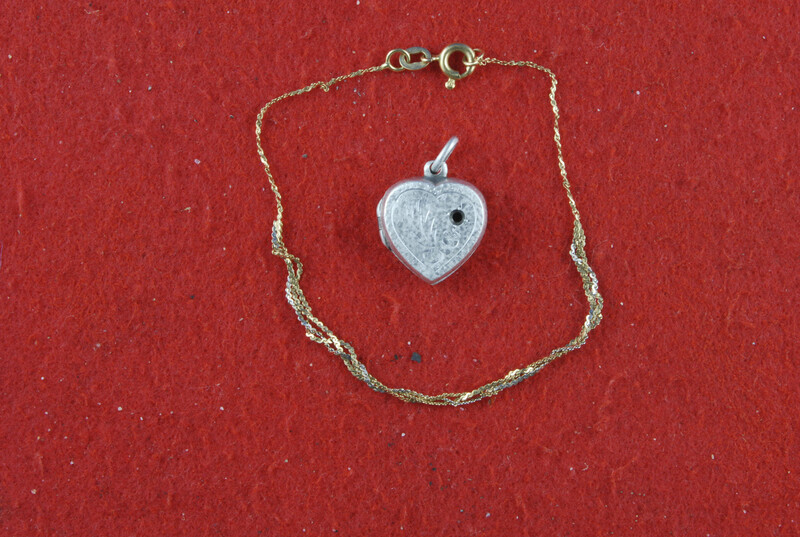 I then had a good solid high tone that sounded like it was going to be silver, fanning away the sand revealed a small silver heart locket, which was unfortunately broken at the hinge. A short time later, I had another good target response and started fanning away the sediment, after only a couple of sweeps of my tool I quickly saw that unmistakable glint of gold in the sand. I slowly removed all of the sand covering a fine gold bracelet,rechecking the hole I still had a good solid signal and digging down further I soon had another piece of lead for my collection. All to soon my time was up and I had to head back to shore. Not a bad mornings dive though, a bit over $11.00 in coins, gold, silver and an assortment of lead weights, fishing lures and a small pocket knife which had seen better days. 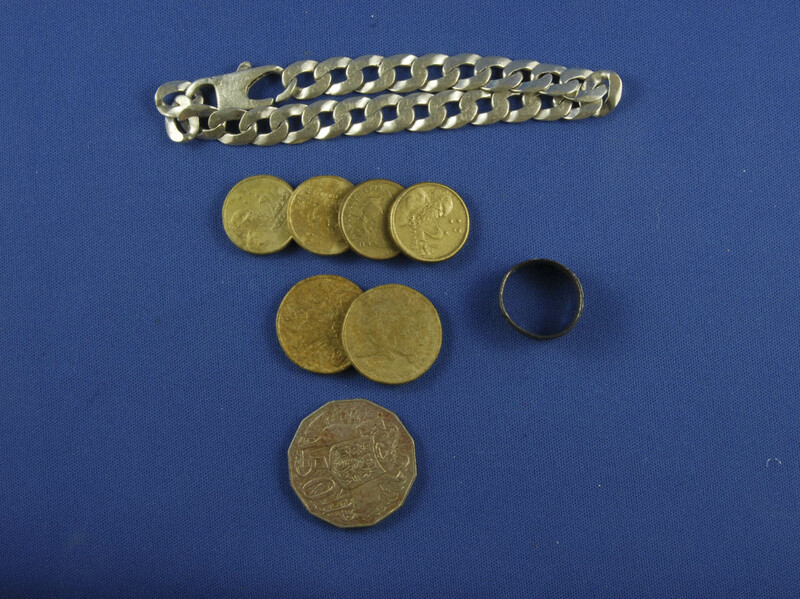 Once I was home I checked the bracelet for markings, I could see a faint mark on the clasp, but couldn’t make out what it said, so I gave it the acid test which indicated it was 18 ct gold. I also tested it on the Excalibur, and as I suspected I couldn’t get a signal from the small bracelet due to the small size of the clasp and chain links. So lady luck was with me, because if the bracelet hadn’t of landed over a lead weight I would never have found it! Until next time, may lady luck be with you! Well, here we are with Christmas almost upon us again! So with that in mind I treated myself to an early Xmas gift and bought a Coiltek 15″WOT (Wild Orange Thing) Mk II coil for my E Trac a few days ago. I normally hunt the beaches with my Minelab Excalibur, but with a lot of sand to cover and competition from other hunters, I decided I needed an edge. 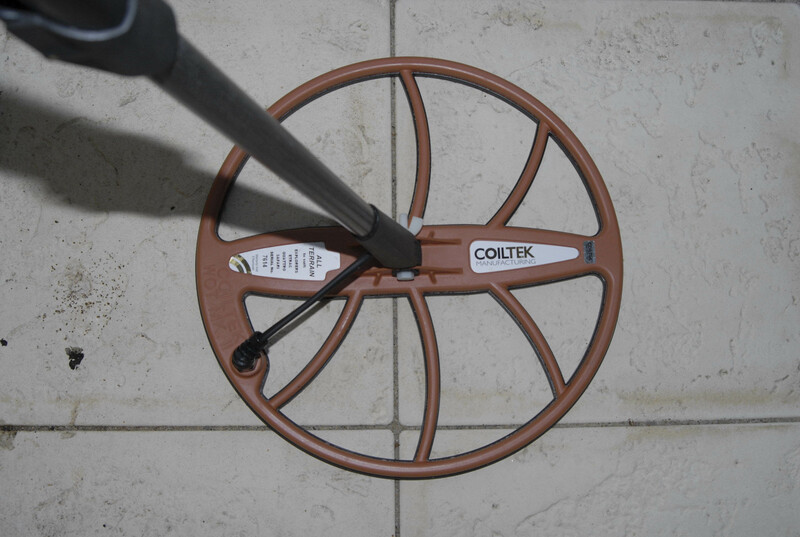 I choose the Coiltek coil because firstly it is an Australian made product, and Coiltek are the only Minelab authorised after market coil manufacturer. 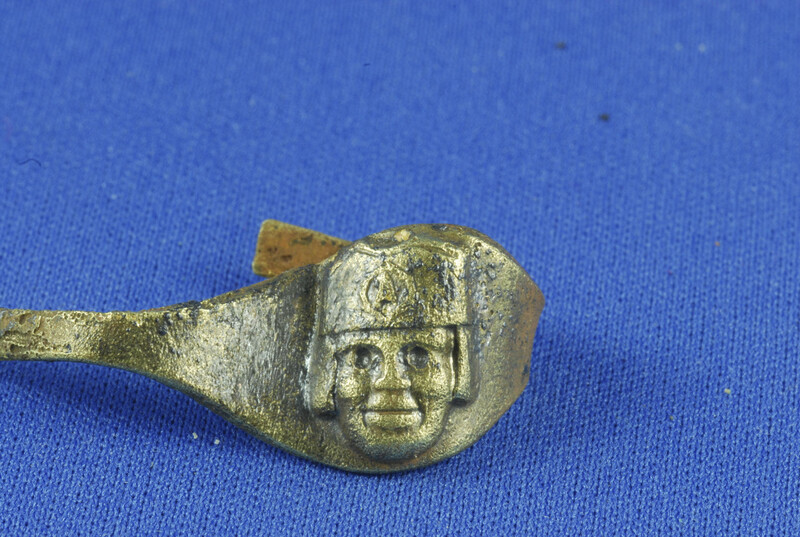 Also the reports I have read have been positive, and on top of that a friend has the Mk I WOT on his Minelab sovereign and does very well with it. This new coil covers a big area and I found I have to carry my scoop over my shoulder, otherwise the coil picks it up! This morning was to be my first outing with it on the beach. Arriving early, there was already one other hunter on the beach and in the sand were the parallel lines from where a hunter had dragged their scoop as they worked transects all along the beach the previous night. Not to be deterred, I headed straight for the wet sand, as I was in time for low tide and started working parallel to the water. The first couple of targets were one dollar coins, on wasn’t particularly deep but the other was a good 4-5 scoops deep. The third target was a good solid high tone , and dumping a scoop full of sand on the beach I could see silver showing. Reaching down I was very happy to have a large silver bracelet, which weighed in at 30 grams. A couple more coins, and I had a ring in the scoop, unfortunately it turned out to be a junker. I headed up the beach a bit and tried my luck on the dry sand, but targets were few and far between, but I eventually picked up a couple more two dollar coins. This brought my total to $10.50 for the morning and saw me ready to head home. I’m looking forward to getting out with the WOT some more over summer and seeing what goodies I can find with it! December heralds the beginning of summer here in the southern hemisphere, and today was a perfect example of sunny days to come. Getting up early this morning, I headed down to a favourite site for some shallow water wading. I was greeted at the site by a tree full of short billed corollas, noisily going about their morning routine. Heading into the water with my Minelab Excalibur II, I quickly had my first target, which turned out to be nothing more then a bottle cap. Even though it wasn’t the best sounding target, I still like to dig everything just to be sure I’m not missing good targets, and also to keep the number of rubbish targets down for when I go there next. After a few more bottle caps I had a good solid signal, which turned out the be a child’s copper ring with what looks something like an Incan or Aztec head on it. While I use a STAVR scoop for all my beach and water hunting, I also have a floating sifter which is very handy for areas such as I was in today, where there is a lot of shells in the sediment. Being able to spread the contents of the scoop over a larger area makes finding targets a lot quicker. After about an hour of detection and having a few coins in my bag, I got a nice solid signal which I had in the scoop on the first dig, looking into the scoop I could see a lovely shiny silver coloured ring sitting on top of the shells. Emptying the contents of the scoop into my sifter so I could film it, I quickly had the ring in my hand an was pretty certain from the shine and weight that it was going to be white gold. 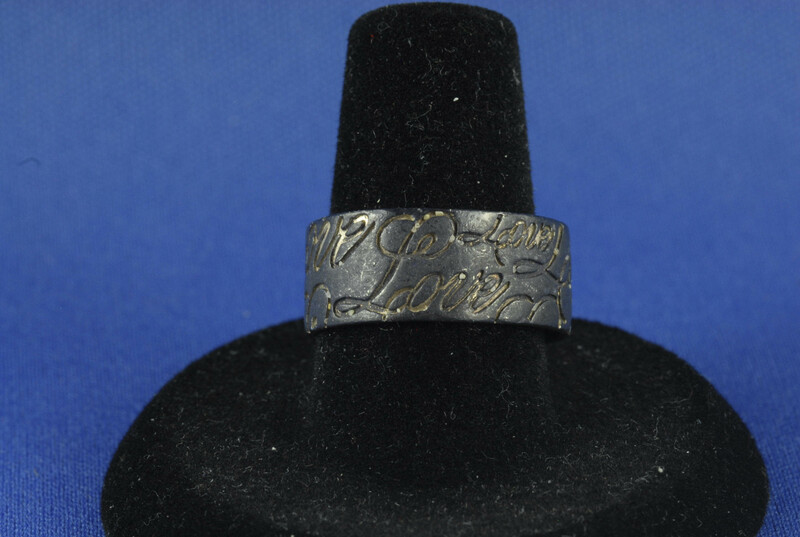 Once home I was happy to see 18 ct stamped on the inside, the ring weighed in at 2.7 g.
What a great way to start the day, enjoying the outdoors while doing a hobby I love! Until next time, keep your coil low and the best of luck to you! Another stunning spring day saw my family and I off to our favourite swimming area. While my son spent his time in the water looking for pieces of old china, I geared up for another dive with my trusty Minelab Excalibur. Whilst I really enjoy hunting for coins and relics in parks, I love the solitude of diving with a detector. Just me and the ever present puffer fish to look for lost items from years gone by. 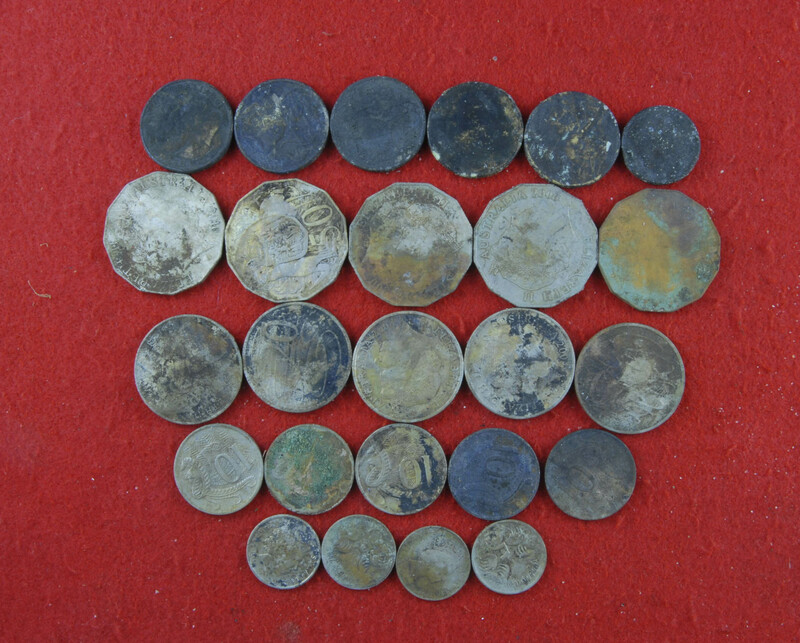 With my hopes high for some coins and maybe some jewellery I started searching. 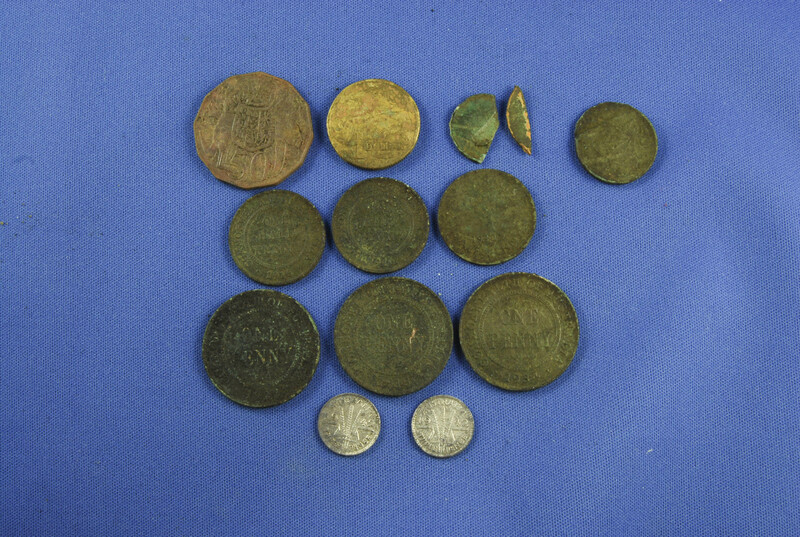 The first few targets were pull tabs or lead weights, but soon I had some modern coins in the bag. A faint signal had me digging for awhile, first a 1980s style bling earring came out of the hole followed by a 1939 penny. Not far away, another target response had me excavating another hole which produced, first a 1927 penny, then an old one cent and two cent coins. I am always amazed at how fast the tides remove any trace of my presence, a week after fanning away the sediment and shells in search of targets, there is little trace I was ever there. A few more modern coins, and a nice signal had me fanning for some time before a coin with a hard crust come out. Unlike the copper coins which can have the black crust rubbed of with my fingers, this one was far more resistant to my rubbing, which had me hoping I had a silver coin. Back home, after a little while in the electrolyse bath, I was correct as the encrusting corrosion fell away to reveal a silver 1942 shilling. Another target that had my heart pumping, started out looking like a gold ring, but unfortunately turned out to be a gold coloured earlobe plug with a spider web pattern on it. 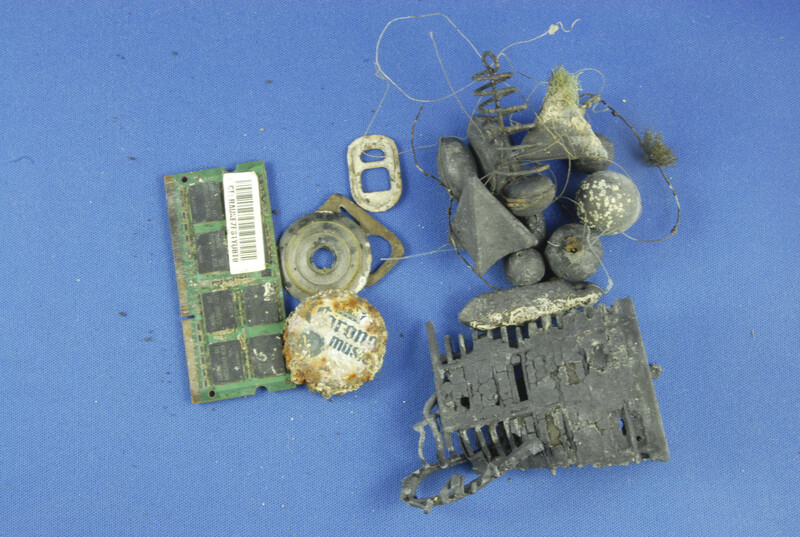 As always I found a good selection of rubbish such as lead weights, pull tabs and a small circuit board. All of these came home with me and will be recycled where possible. Until next time, keep your coil close to the ground and happy hunting!